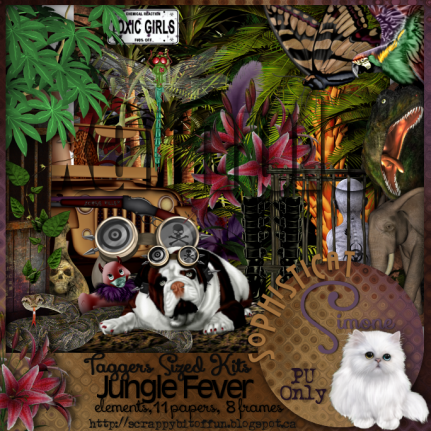 Here's one of my newest scrap kits Jungle Fever. It's pretty versatile and you can make almost any kind of tag with it. My lovely CT girls made some awesome tags and tutorials. The kit contains 11 papers, 8 frames and 41 elements. You can find it at Pics for Design. I just love this tag, it's so fun and represents a dream of mine to go on a Safari one of these days. Stunning tag by Kiya. So beautiful! Simply stunning tag by Evita. Thank you, it's so beautiful. Gorgeous tag by Linda aka tagcatz.